ProxySQL 1.4.6, released by ProxySQL, is now available for download in the Percona Repository along with an updated version of Percona’s proxysql-admin tool. 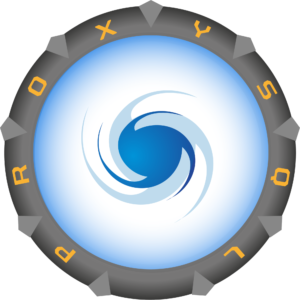 The ProxySQL 1.4.6 source and binary packages available at https://percona.com/downloads/proxysql include ProxySQL Admin – a tool, developed by Percona to configure Percona XtraDB Cluster nodes into ProxySQL. Docker images for release 1.4.6 are available as well: https://hub.docker.com/r/percona/proxysql/. You can download the original ProxySQL from https://github.com/sysown/proxysql/releases. #PSQLADM-32: Now, proxysql_admin script can configure multiple clusters in ProxySQL, when there are unique cluster names specified by the wsrep_cluster_name option, and the proxysql_admin.cnf configuration contains different ProxySQL READ/WRITE hostgroup and different application user for each cluster. Currently multiple clusters support is not compatible with host priority feature, which works only with a single cluster. PR #81: The new version substantially increases the number of test cases in the ProxySQL Admin test-suite. Fixed #PSQLADM-35: proxysql_galera_checker monitoring script was unable to discover new writer nodes. Fixed #PSQLADM-36: upgrade to ProxySQL 1.4.5 from the previous version was broken. Fixed #79 by properly quoting the MONITOR_USERNAME environment variable in the admin script query. ProxySQL is available under OpenSource license GPLv3.